With ever increasing workload in our lives, the day has become shorter to live but longer to work. Health is now more of a concern. In this hectic lifestyle, we try to fit in a quick 30 minutes of rejuvenation. Of body and soul and who better to do it with than the Schwinn 470 Elliptical Machine. The best elliptical machine in town out there to race your hearts yet being soft on your knees. 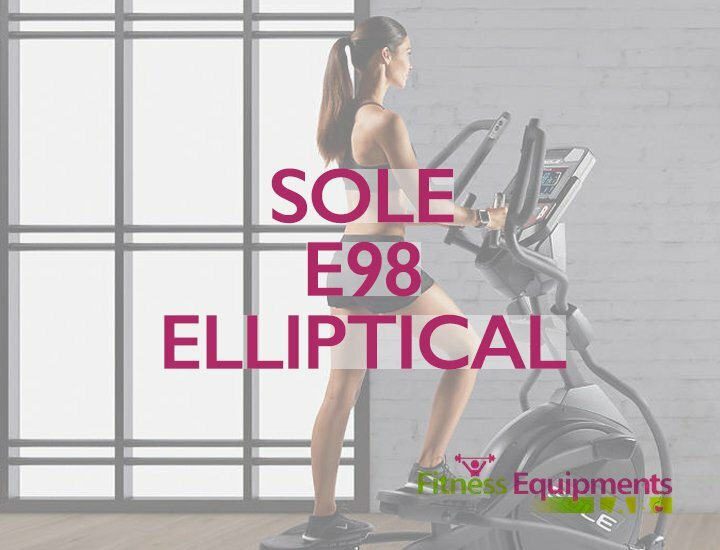 So why do you need an elliptical machine? The reasons are many but the most basic ones would be the following. 1 Why do you need an elliptical machine? 2.1 Why Do You Need The Schwinn 470 Elliptical Machine? 2.1.8 💚What did we like? 2.1.9 💔What didn’t we like? Every gym has it. Most houses can have it. Does not take up much space and easy to maintain. The rain cannot stop, the hot summer can’t nor your hyperactive dog. Even as you age, you can still walk. An elliptical machine is designed for brisk walking, affecting the heart in a pleasant way. Send your most important e-mails while building up. Listen to music and briskly walk. No other machine can provide you with such luxuries other than an elliptical machine. The Schwinn 470 is a robustly built workout machine at the most affordable price. This is a machine which is built to last a lifetime while providing you with an energetic dual body workout. You can tone as well as build your lowers as well as your uppers through the 25 levels of resistance shared across 29 programs with 4 user settings. The Schwinn 470 Elliptical Machine is your answer to a whole new scope of fitness. Why Do You Need The Schwinn 470 Elliptical Machine? This machine is an easy to maintain and store product and can be tucked away in any corner of your house. It is also affordable and quite simple to service. The manual setup instructions are quite easy to follow and anybody can set it up. The machine provides great stability at up to 300 pounds. Moreover, you are assured of a fantastic workout machine from the house of Schwinn. Here are some of the important considerations that will make you buy one of these. The console is the heart of the machine providing you with your goal tracker. The SchwinnConnect™ helps you fulfill your fitness goals though its proprietary software. There are 29 different programs to choose from and 4 user settings that will help you get into shape. Large footplates for greater foothold with comfortable cushioning. 6 positional manual ramps at 10° elevation. With two integrated levellers and a central frame, the machine provides you with a robust workout platform. Wheels for easy movement make it easy to operate. Longer handlebars for increased mobility and stability. The machine does come with a good warranty to cover the different types of problems you have have to see. We love the fact that you get to perform a number of exercises on the machine. The different programs and settings to choose from and the 3 different metrics to check, make this a worthy companion. The operation is easy and the warranty ensures that you do not have to worry about the machine breaking down. Except the labor warranty which is for just 90 days, all others are at least a year ensuring that your investment is a good one. The dedicated after sales team promises to answer all your queries post ordering. We find a good stable product in the Schwinn 470 Elliptical Machine. You get reminded about your fitness goals and the goal tracking feature is welcome one. The chargeable USB port facilitates data exchange with your smart phone and the four different user settings goes a long way in helping you be motivated. The console stands out from many other machines of the league and offers a comprehensive set of functions. There are speakers within the machine itself that can offer big quality sound. The company states that the chamber speakers offer sound quality like no other. The workouts are smooth and quiet and you can wake up early morning and start off without waking up other household members. We loved the durability quotient too, with the machine having a center frame support to offer a solid workout platform. An in depth collection of programs to choose from and different user settings according to user preferences. Good way to keep track of fitness goals and challenge one to achieve them. A fan to help cool you while you’re exercising. Users have reported that the wiring and connections can be a little finicky. Users have reported power up problems after installations. Lengthy resolution times often hamper the customer experience. If you’re looking for a complete solution to your fitness worries and a machine that takes care of all your needs, you would love the Schwinn 470 Elliptical Machine. The machine does good at what it is supposed to do – give you a complete fat burning workout to help you stay healthy. The customizable controls ensure that you can easily meet your fitness controls and the simple assembly means that you can set up the machine within an hour. The Schwinn 470 Elliptical Machine is the ultimate piece of fitness fantasy every fitness center should own. In fact, it is their belief that every fitness buff should own one to get into shape. The Schwinn 470 Elliptical Machine is built to provide one with a complete workout schedule. Along with the proprietary systems, The Schwinn 470 Elliptical Machine makes one legendary equipment to own.